Please join us as we CELEBRATE MOMs. 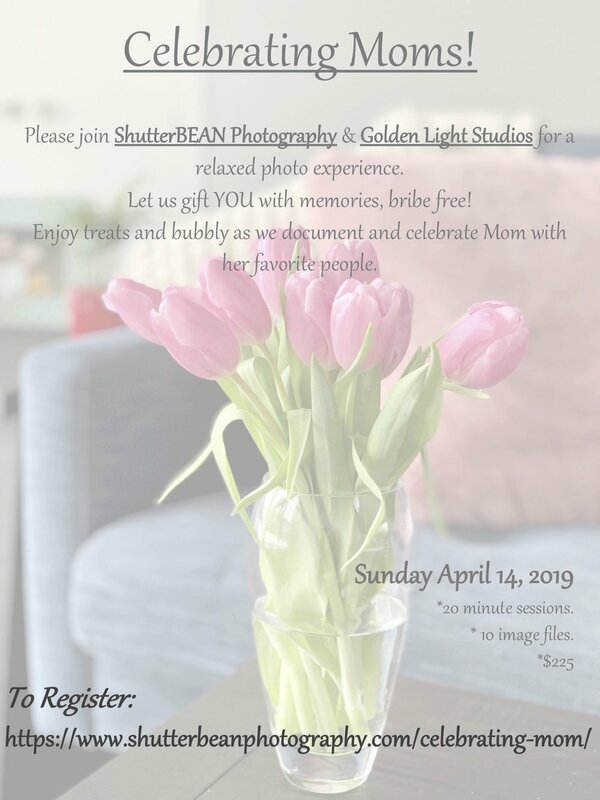 Let ShutterBEAN Photography & Golden Light Studios treat you to a relaxed photo session featuring YOU! Invite your own Mom, your littles, or any special Women that build you up. We will document and giggle along side you. Enjoy a few sweet treats, giveaways, and bubbly as we capture your fun, bribe and begging free..